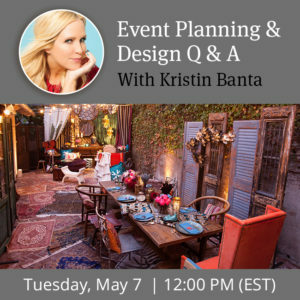 Home > Blog > Upcoming Special Guest Webinars! We are starting 2018 off with a packed calendar of special guest webinars! 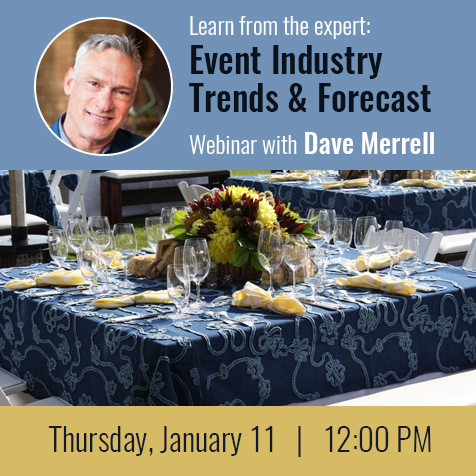 On January 11, join Dave Merrell, creative director of AOO Events for a preview session of his annual Event Industry Trends & Forecast. 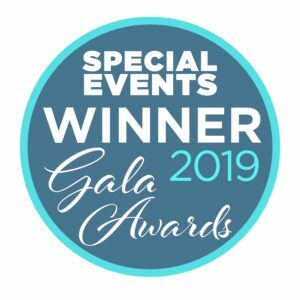 David Merrell has his finger on the pulse of what’s happening in social and corporate catering events, food and beverage, lighting, technology, and more. His information comes from many sources and he’s bringing it all to you in this fast- paced, entertaining session. Find out what needs to be in your imagination, and your warehouse, to be ready for 2018 and beyond. Reserve your spot now! 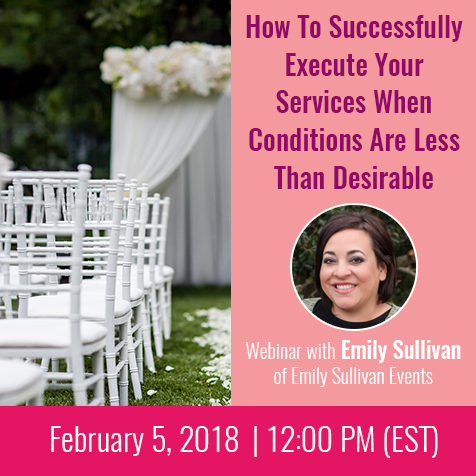 On February 5, join Emily Sullivan of Emily Sullivan Events to learn the best tactics for successfully executing an event when the conditions are less than desirable. Emily Sullivan will cover a variety of topics including the strategies when the vendor won’t play by your rules , the vendor training you must put newbies through, ethical dilemmas and how to tackle them head on, best practices to ensure you aren’t the one the others are worried about, and what to say when you are left speechless. Reserve your spot now! 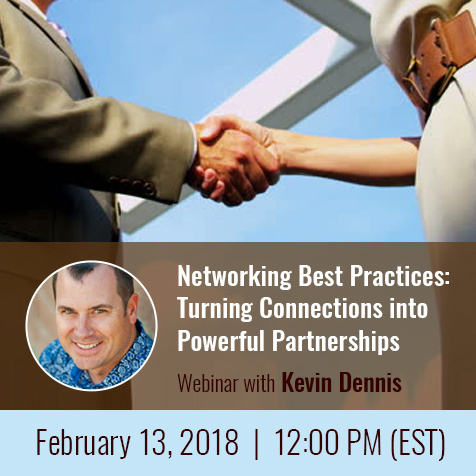 On February 13, join Kevin Dennis as he breaks down the key components of building alliances in the wedding industry. Strong creative partner relationships are key to thriving in a saturated market! Learn how to how to determine what industry events and associations are the best fit for your brand as well as the best practices for networking and communication, and the benefits of leadership roles. Reserve your spot now! 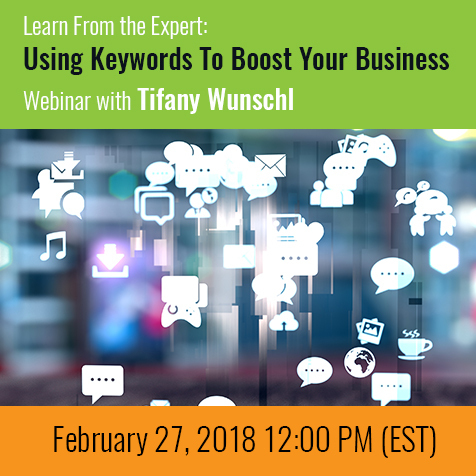 On February 27, learn how using keywords can help to boost your business with Tiffany Wunschl. Understand why keywords are so important for increasing the traffic to your website and learn how to find the keywords that will convert on Google, Pinterest, and Instagram. Reserve your spot now! 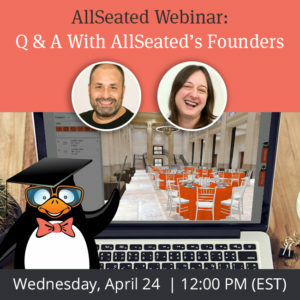 Stay up to date on all webinars offered by AllSeated by visiting the webinar section of our website!